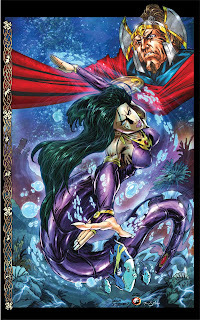 I will have Watermarks v2: The Art of Jim Su on sale at Fan Expo for the first time. This artbook is in full colour! Includes some of my favourite pieces over the years as well as some brand new stuff. Crozonia # Issue 4 Ashcan in FULL COLOUR! 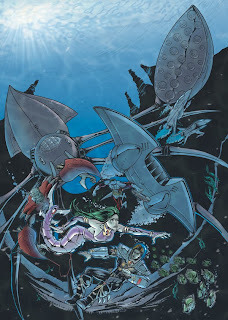 I will have an Issue 4 FULL COLOUR ashcan of Crozonia 4 available just in time for Fan Expo Canada! Featuring a pin up from Hugh Rookwood who will be helping me run the Artist Alley table! 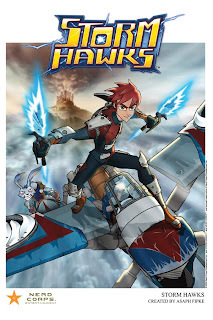 Exclusive Storm Hawks Posters at Fan Expo! Fan Expo books on sale! Sketches are free with purchase, and commissions vary from $10-$20. Here is the new Clockwork Girl trailer from Kevin Hanna (Frogchildren Studios) and Sean O' Reilly (Arcana Studio). I rigged the mad scientist, Tinkerer. "The Clockwork Girl" Trailer from Frogchildren Studios on Vimeo. 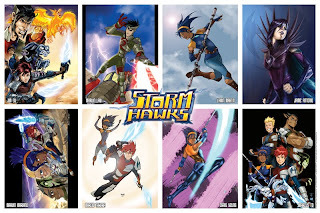 Here are a few Storm Hawks photos. Sam Vincent and myself holding up a Storm Hawks Special Edition comic at Anime Evolution! 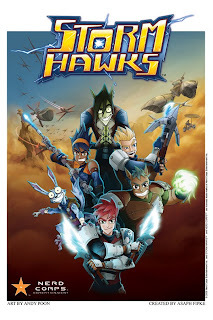 Sam Vincent is the voice actor of Aerrow and the Dark Ace. He is also the voice of the lead character for the series Rollbots! A true gentleman. Awesome Cosplayers at Anime North. There will be Storm Hawks cosplayers roaming around at Fan Expo Canada. 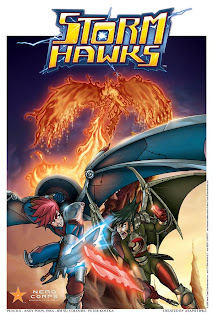 A good crowd watching the Storm Hawks: Cyclonia Rising North American Premiere at Anime North. More photos from Crozonia and ReBoot coming including the huge ReBoot Homecoming Extravaganza that occured at Vancouver Anime Evolution. For the first time in four years, I decided to set up at Preview Night (Thursday). It was incredibly empty. The only busy days in Chicago were Saturday and Sunday. It really looks like this is the end of the world for Wizard's Chicago show. A rival promoter, Reed Expo which is responsible for Mipcom, New York Comic Con and Book Expo America will be holding the first ever C2E2 (Chicago Comic and Entertainment Expo). I hate the name of this show, but knowing Reed, it looks like it's going to overtake Wizard's show straight out of the gate. I will be exhibiting there in April 2010.